You can crumple it, fold it, cut it, write on it, post it, paint on it, roll it into a scroll, make collage with it … and so much more. What are we talking about? Paper! Our autumn issue was posted to our loyal subscribers yesterday—and it’s all about paper. Subscribe via our website (you can order single copies from the subscribe page, too). 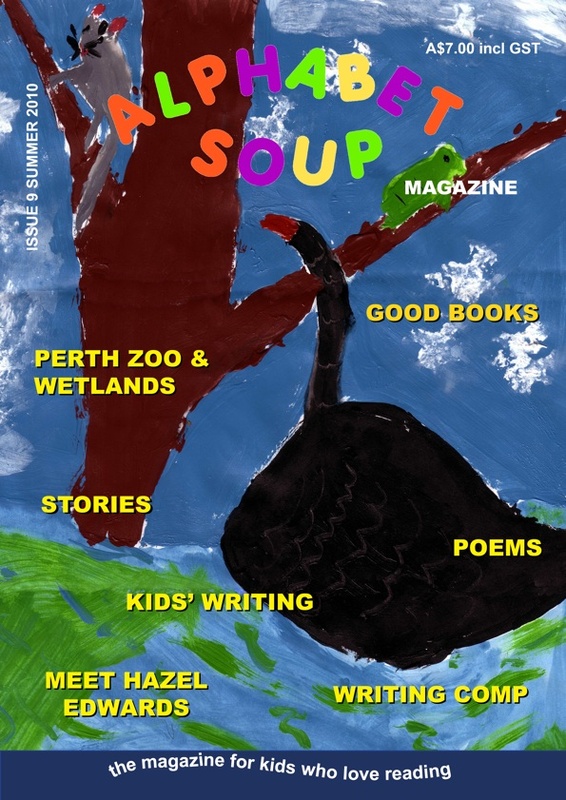 If you’re in WA, rush in to one of our WA stockists—Westbooks (Victoria Park) and Zero to Ten (South Fremantle) who will have copies of the autumn issue to sell you from Tuesday 21 February 2012. 4. GET BAKING! : Make some butterfly cupcakes. Try this recipe for cakes with wings, or this recipe using marshmallows and sour worms might be more your style. If butterflies aren’t your thing, can you think of a way to adapt these recipes to turn them into bat cakes or owl cakes? 5. READ some wing-themed books! For upper primary kids, we like Cicada Summer by Kate Constable, Storm Boy by Colin Thiele, for lower to middle primary kids, try The Magic Finger by Roald Dahl, or Duck for a Day by Meg McKinlay and if you love picture books you could try The Truth About Penguins by Meg McKinlay & ill. Mark Jackson, The Story of Ping by Majorie Flack ill. Kurt Weise or the nonfiction picture book Australian Owls, Frogmouths and Nightjars by Jill Morris & Lynne Tracey. Or read ‘The Six Swans’ folktale in the current issue of Alphabet Soup (or the poems also in the current issue!). Can you think of any others? “Flight Of The Bumblebee” is a piece written by the Russian composer Nikolai Rimsky-Korsakov for his opera “The Tale Of Tsar Sultan”, composed in 1899-1900. The piece is played at the end of Act Three, where the magic Swan-Bird changes the Tsar’s son into an insect so that he can fly away to visit his father (who does not know he is alive). In 2010, the violinist Oliver Lewis broke the record for the fastest performance of “Flight Of The Bumblebee” – playing it in 1 minute and 3.356 seconds. “The Butterfly Lovers” is a violin concerto co-written by Shanghai Conservatory of Music students Gang Chen and Zhanhao He in 1958. It premiered to great acclaim in 1959, but was then declared decadent five years later during the Cultural Revolution – and both composers were imprisoned. Their “crime” was attempting to fuse Western instrumentation and tonalities with traditional Chinese melodies. The music for the ballet “Swan Lake” was written by Pyotr Ilyich Tchaikovsky. The story is thought to be based on “The Stolen Veil” by the German author Johann Karl August Musäus and the Russian folktale “The White Duck” . The premiere performance in 1877 was not a huge success. The Russian ballerina Anna Sobeshchanskaya – for whom the role of Odette was originally intended – was removed from the performance, when a government official in Moscow complained about her, stating that she had accepted several pieces of expensive jewellery from him, and then married a fellow dancer – selling the jewellery for cash. The dancers, decor and orchestra were all unanimously crtiicised, and Tchaikovsky’s music was considered too complicated for a ballet. His music was decried by critics as too noisy! After Tchaikovsky’s death in 1893, the Italian composer Riccardo Drigo was granted permission by Tchaikovsky’s brother Modest to revise the music for the ballet’s revival. It is Drigo’s revision of Tchaikovsky’s score of Swan Lake that is the most often performed and recognised today. A traditional English folk song printed in the song book “Melismata”, compiled and published by the English composer Thomas Ravenscroft in 1611. It is also known as “Twa Corbies” (“Two Ravens” or “Two Crows”) and most often sung to the Breton melody – “An Alarc’h” (“The Swan”). The American scholar Francis James Child (appointed Harvard’s first ever Professor of English in 1876) included these versions in his monumental five volume collection of English and Scottish ballads – The Child Ballads – released between 1892 and 1898. “Le cygne” or “The Swan” is the thirteenth movement of “The Carnival Of The Animals” by Camille Saint-Saëns. The famous piece features a solo cello. This is the only movement from “The Carnival Of The Animals” that Saint-Saëns would allow to be played in public during his lifetime, as he thought the other movements were all too frivolous and would damage his reputation as a serious composer. Enter our latest writing comp! 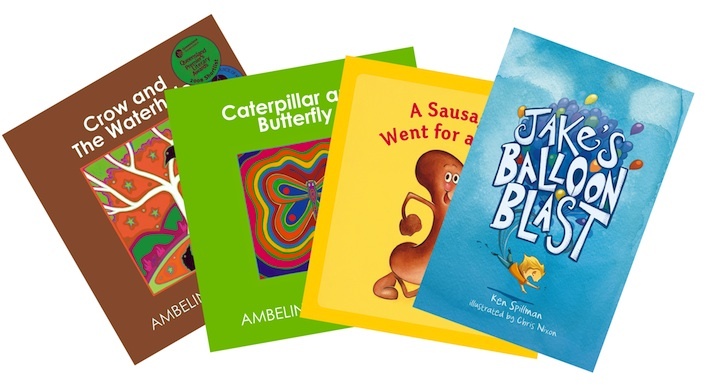 AUTUMN 2011 WRITING COMPETITION – WIN A $20 BOOK VOUCHER! Write a story up to 400 words long (shorter is fine). Your story must include something about cooking. 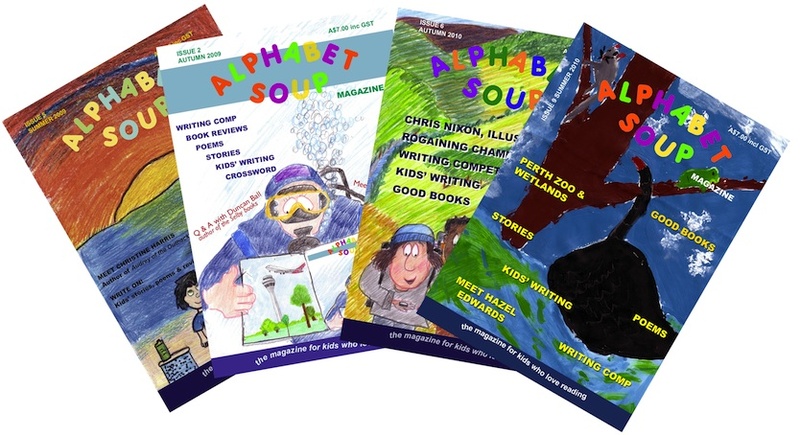 Autumn 2011 Alphabet Soup is out! 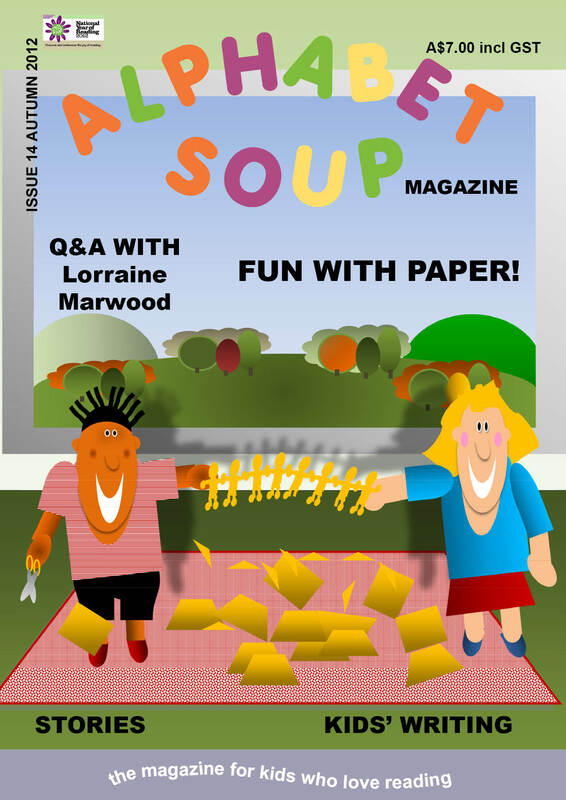 The autumn issue of Alphabet Soup magazine was posted yesterday, so if you are a subscriber—you’ll find it in your letterbox sometime over the next few days. Yay! Later today we’ll be announcing the winners of our summer 2010 writing competition and posting the winning poems here on the blog. AND we’ll be posting the Q&A with Oliver Phommavanh. So stay tuned! 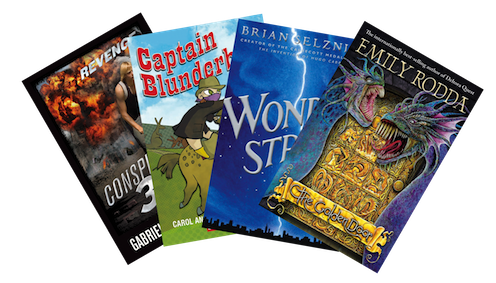 WIN a $200 BOOK PACK! Write a poem up to 10 lines long (shorter is fine). Your poem must include the word ‘snap.’ Include a competition entry form—you can print one from Alphabet Soup‘s website. This writing competition is open to children aged 12 and under. Entries are judged in 3 age categories. 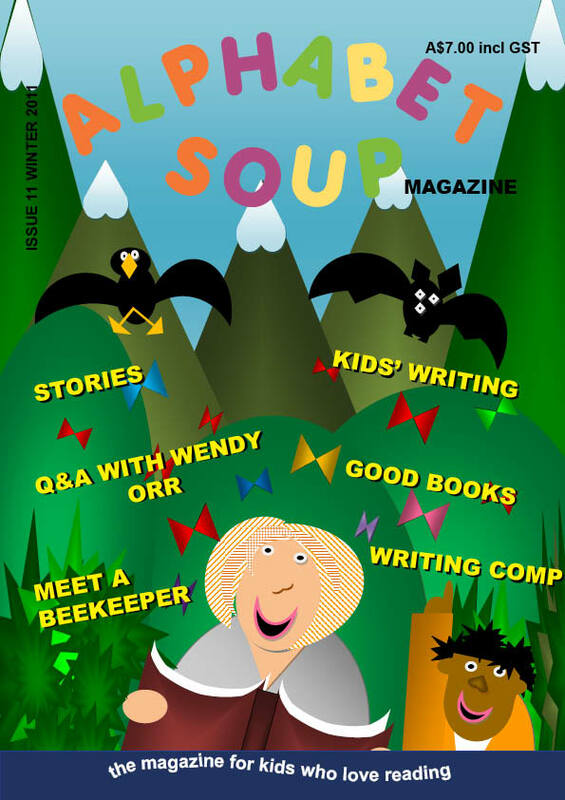 Summer 2010 issue out 7 December! Oh! And don’t forget to admire the cover. 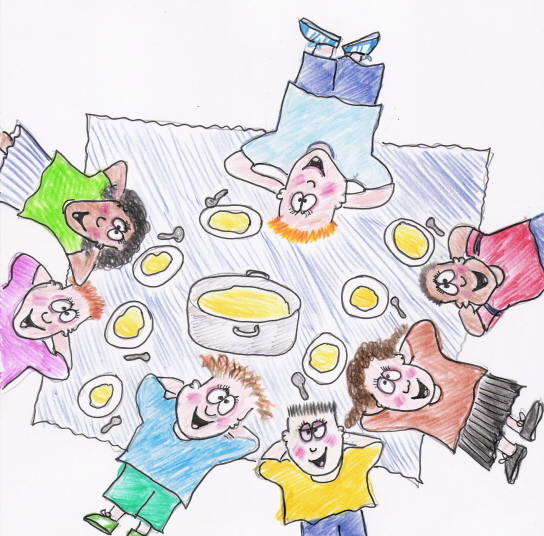 The artwork is by Angel Hatton, the winner of our design-a-cover competition. SUBSCRIBE NOW FOR CHRISTMAS and we’ll post your order on 20 December 2010 with a postcard attached notifying the recipient that it is a gift subscription from you. Download an order form and send it in with your cheque or money order (and note on the form that it is a Christmas gift).